Good morning everyone! Happy Ice Storm Day from here in the Midwest! We need a little hint of summer and this is the perfect! 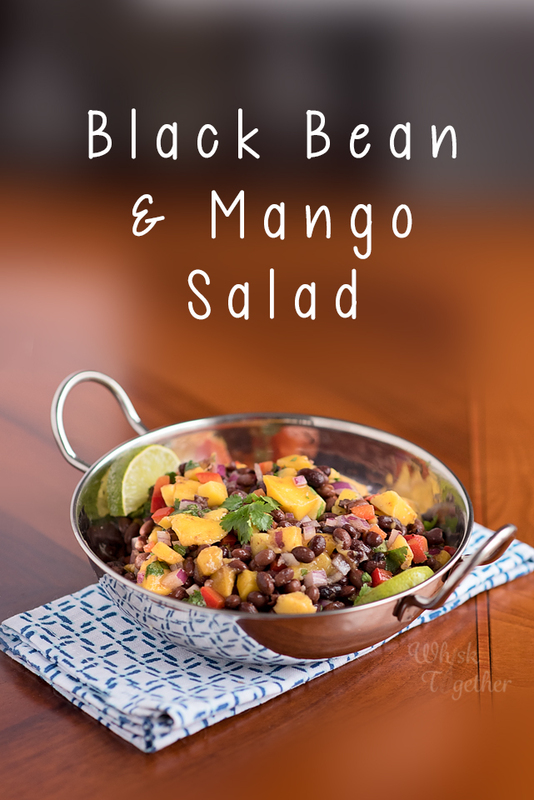 You can make this SUPER easy salad in winter with canned black beans and frozen mango. You can find frozen mango in the frozen fruit section of the grocery store – sometimes you will see it next to smoothie fruit packs as well. It is a quick lunch – you have protein and vitamins in one bowl with no heating required! 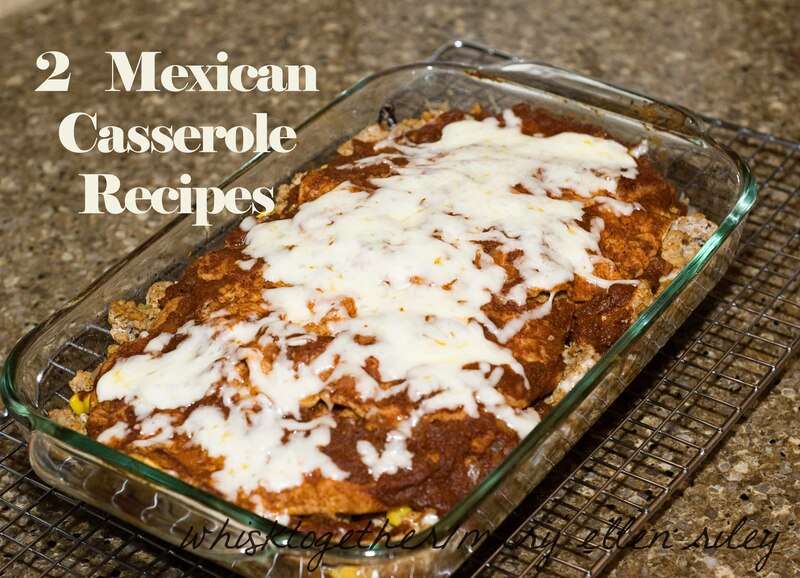 You can serve it as a side dish with tacos, enchiladas, nachos, etc. You could put it on tortilla chips for a quick salsa! 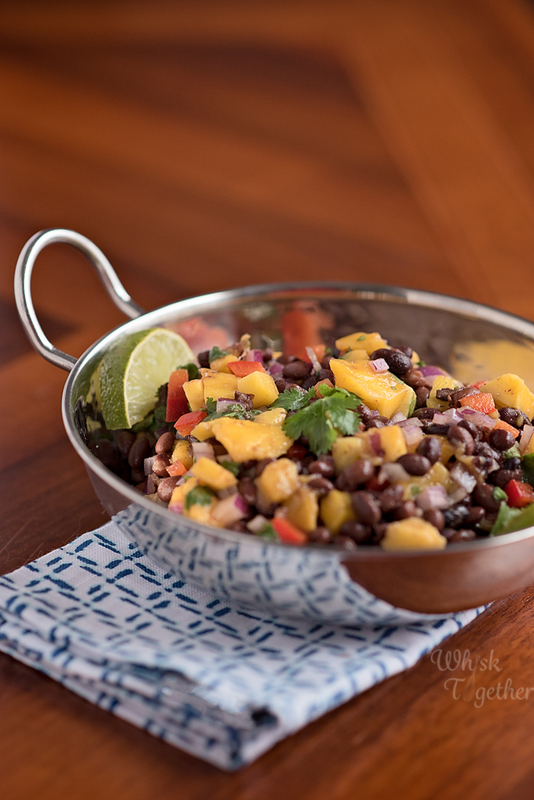 In a large bowl, mix the beans, mango, onion, bell pepper, cilantro, spices, salt and optional chopped tomatoes. Squeeze half a lime into the bowl. Gently toss. The salad is ready to eat! Store covered in the refrigerator for up to 4 days. For dietary reasons, if you need to add fat, you can stir in 1 tablespoon of olive oil. My friend and old neighbor Hilary posted on her Facebook page about a new Instant Pot appliance. It could cook beans in 12 minutes! Chicken soup – from frozen chicken – in 30 minutes! So, yes I had to buy one. The slow cooker is great and all. But you know. It’s slow. We like fast 🙂 Ha ha. Well, more like we want options. I like the options and freedom to make an entire pot roast in 35 minutes. So how does this pot work in the real world with kids and errands, food and budgets? My #1 reason and I think the machine will pay for itself: dried beans. Dried beans are super cheap. Plus they have no added salt. 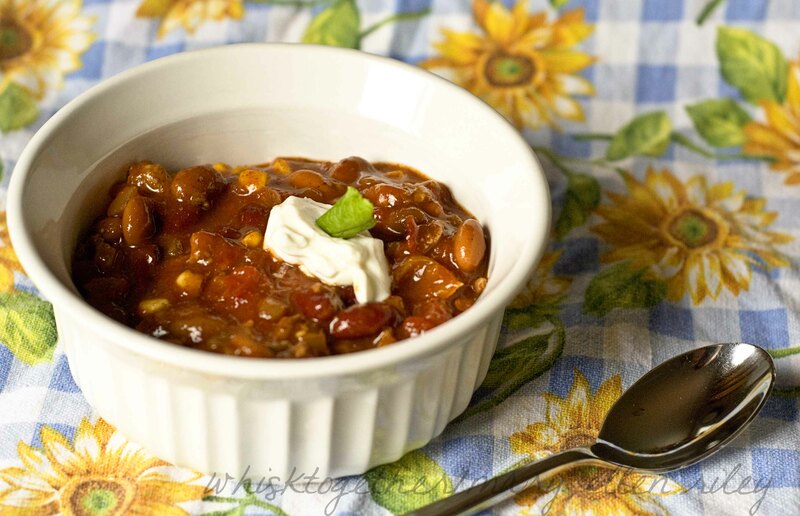 For years, I tried different methods to cook dried beans. They never turned out right. They never tasted as good as the canned beans. Why? Because canned beans are pressured cooked at the factory. Resistance is futile. I have been assimilated. Chicken and beans cooked in 25 minutes. Just plain black beans cooked in 12. You can make your own yogurt! I have not personally done it myself. I cannot go through a gallon or even half gallon that fast. But it has a yogurt setting and does everything automatically. I did research it and the pot hibernates the yogurt for 8 hours – people suggest 9 hours for thicker yogurt. Just push the + button and you’re all set. Why do I like this better than a stove top model? The warm function. The pot automatically stops and switches to “warm” to keep your food hot and avoid overcooking. If you have a stove top pressure cooker, then you must turn it off yourself. Or some people use two burners – one to heat the pot to pressure and move it to another to keep the pressure going on a lower setting. Why would you buy a stove top model instead? If I had 5 or 6 kids, I would need the stove top model. 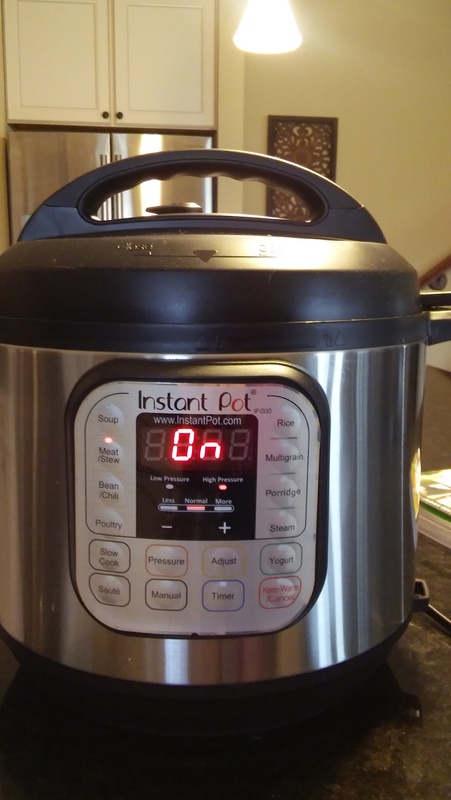 This instant pot holds 6 quarts. But it is a pressure cooker. And just like a slow cooker as well, you cannot fill it to the top. So, larger families may want a 8 qt. stove top pressure cooker instead. You can make rice! No more rice cooker or sticky rice or undercooked/overcooked rice. Cooks rice perfectly. Automatically. Healthier food: Pressure cooking cooks food faster. The faster it cooks, the more nutritional value it can retain. Also, the less water you need the less vitamins and minerals will go into the water and out of the food. You can make porridge! From my research, the porridge function is very popular outside the USA. But hey, you have the option. You can steam vegetables. Well, I usually make mine in the microwave. But if you like your vegetables steamed, this device will do it for you automatically. The one thing I have always liked about the expensive Williams Sonoma Slow Cooker is that you can brown your meat in the same device. The Instant Pot lets you brown your meat as well on the Saute Setting. After the cooking is finished, you can press the saute button to thicken your sauce or gravy or soup by letting it boil just like if you were using the stove. Here is a link to the manual if you are still curious. Instant Pot Manual. Now, once you have a pot. How do you cook with it? I found a lot of books on Amazon. The #1 book had a lot of reviews complaining that the author uses a lot of pre-made mixes, cream of somethings, etc. 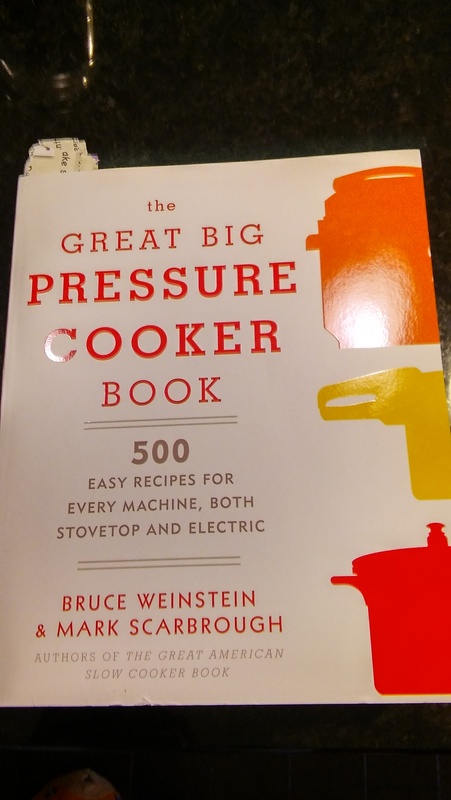 So I skipped that one and found “The Great Big Pressure Cooker Book” by Bruce Weinstein and Mark Scarbrough. A ton of recipes including the one on this blog post. My one comment would be that the cooking times seem long. The corned beef was finished cooking in 35 minutes. The book recommended 80 minutes. My corned beef was a little smaller than the recipe, but still. I like their recipes and kitchen testing notes on every recipe. The only thing I do differently is make sure that the cooking time is closer to what the Instant Pot recommends instead of the book. In a small bowl, mix the spices together (from brown sugar to garlic powder). Sprinkle onto the chicken and pat down. Heat the oil in the pressure cooker on the saute setting. Brown the chicken on all sides for about 5 minutes. Now add the tomato sauce, beer/broth and chili powder. Cook for 14 minutes on high pressure. Once finished, use the valve to quickly release the steam. Stir in the lime juice and shred the chicken apart. Or eat the chicken as is with the sauce. Or add the chicken to some tortillas with cheese and bake for 15 minutes or so in the oven. 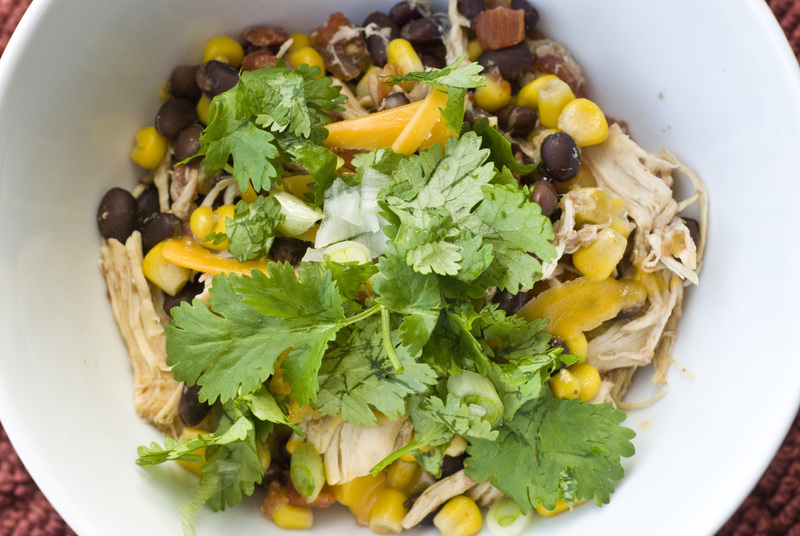 To make this in the slow cooker: Add all ingredients except the lime juice. Cook on high 3-4 hours. Shred and eat. 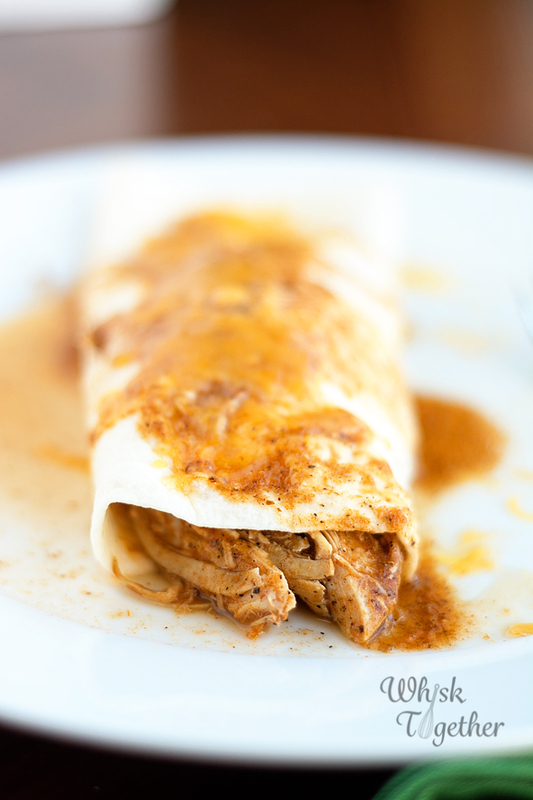 To make this in the oven: Add the spiced chicken to a 9×13 pan. Mix the sauce and pour on top. Cover with foil and bake at 375 degrees for 35 minutes or until the chicken is no longer pink in the middle. Craft: Here is a photo of what I was working on last week. 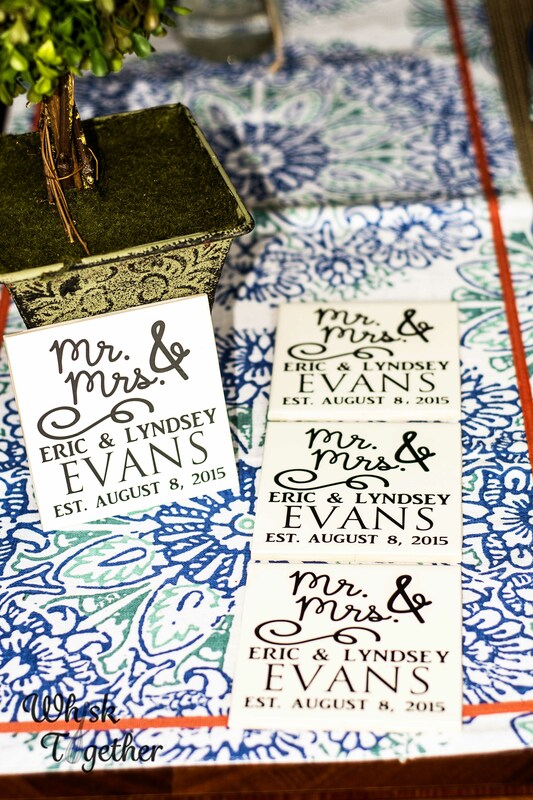 After some trial and error with vinyl and fonts, I found a way to make these coasters for my cousin’s wedding. Recipe: I made this recipe with the previous post, “Mexican Cauliflower Rice”. It is really simple, fast and delicious! It is one of the recipes that Food Network Magazine publishes in their weeknight dinner section. They rarely disappoint. I think they work really hard on them and make sure you CAN actually get it made in a short period of time. I recommend making your own enchilada sauce, but you use what you like. I have a recipe here that I liked and posted a while ago. 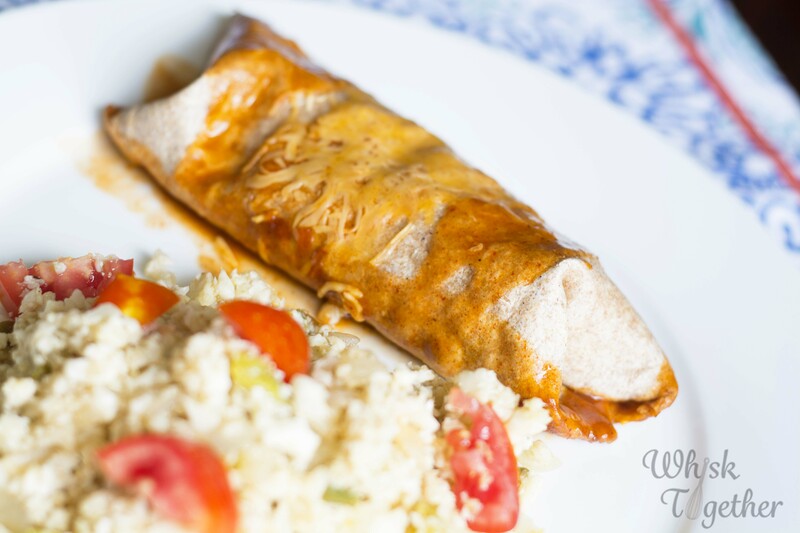 The Vitamix enchilada sauce is super easy as well. Many canned enchilada sauces at the grocery store contain MSG and preservatives. The enchilada sauce at Trader Joe’s is free of all those nasty things, but it is too spicy even for me. I’m a medium kinda gal. Place everything in the Vitamix blender. Blend at level 10 for 6-7 minutes. Or put it on the “soup” setting for the ones with presets. In a large skillet, cook the ground beef over medium high with chili powder. Cook until no longer pink and broken up – about 5 minutes. Add 1 cup enchilada sauce and the beans. Simmer 3-5 minutes. Take the skillet off of the stove and stir in cilantro. Spray two small baking dishes or one large 9×13 baking dish with cooking spray. 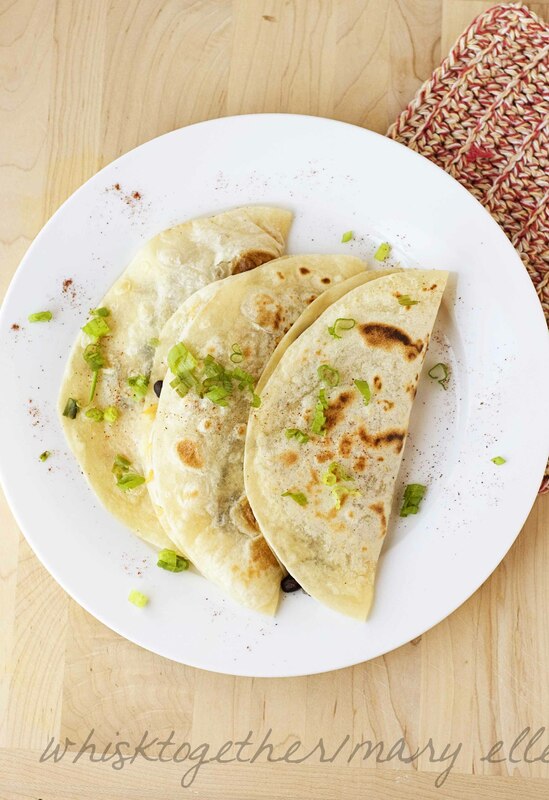 Divide the meat between the tortillas and add 1/4 cup of cheese to each. Roll and fold the burritos. Place into the dish seam side down. Cover with the rest of the enchilada sauce. Cover the dish with foil. Bake for 10 minutes. Remove foil and add the rest of the cheese. Bake another 2-3 minutes. This is a new favorite find at Trader Joe’s. Organic Brown Rice and Quinoa Spaghetti Pasta. 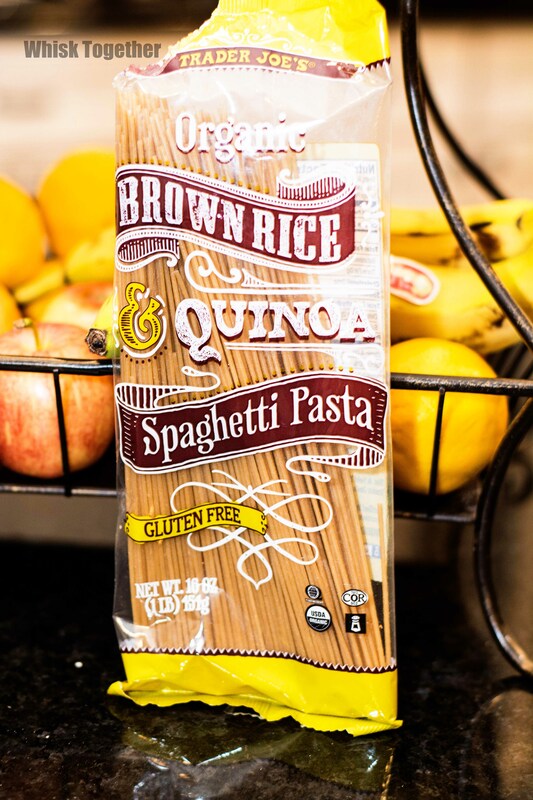 My kids would never eat the whole wheat spaghetti pasta I purchased at the normal grocery store, but they do like eating this! Tastes great and a fast meal with the Three Cheese Pasta Sauce. 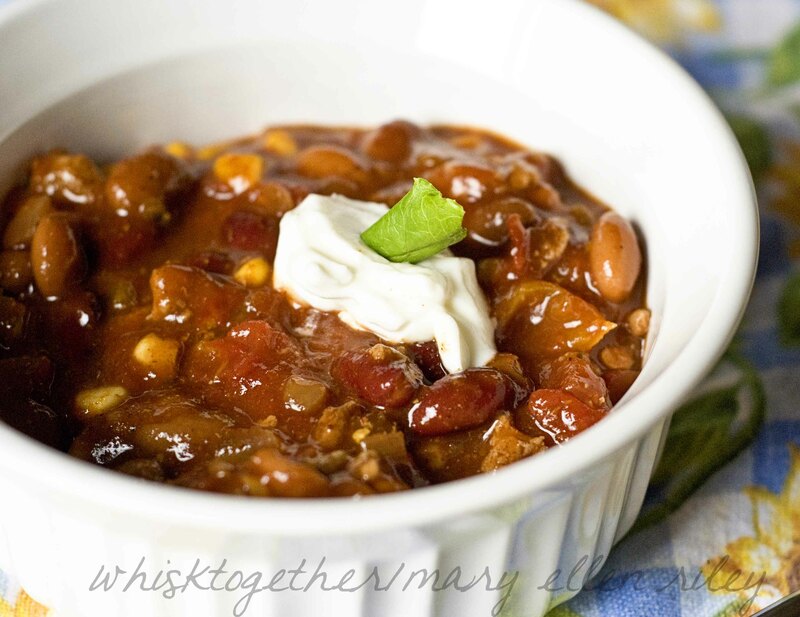 Recipe: So… this recipe is awesome because…. 1. You make it in the slow cooker. I needed something ready to eat after Easter service, so I threw this in the crockpot before getting ready and heading off. 2. It’s easy peasy and no fuss ingredients. 3. You can turn it into more of a soup by adding more chicken broth. Or you can use it as nacho toppings. 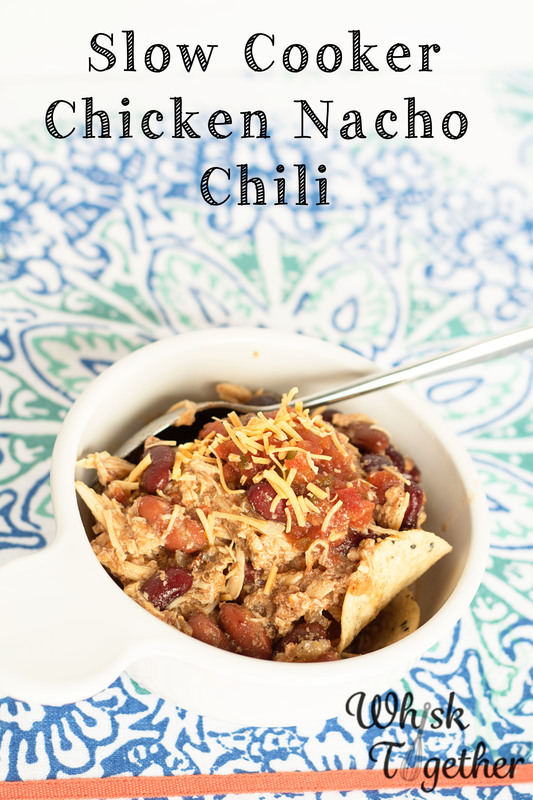 Or you can eat it as a thickened chicken chili. 5. You can freeze the whole meal before you cook it. You can make 2-3 of these to stash in the freezer for a quick meal later. Or, freeze the leftovers! 6. And I’m making it again tonight. So there you have it and why you should make it! Now print it, pin it, or whatever you want. You need to make this. And yes, I vote for purchasing smoky paprika. Sooooo good and smells heavenly. Most paprika I buy has no flavor or scent, just a red color. But the smoky paprika always added some nice smoky notes to my food without me having to actually smoke the food. Or just use what you got! I usually have most of the ingredients for this dish. In a slow cooker, dump all of the ingredients with the chicken breasts on top nestled into the ingredients below. Cook on low 3-4 hours. 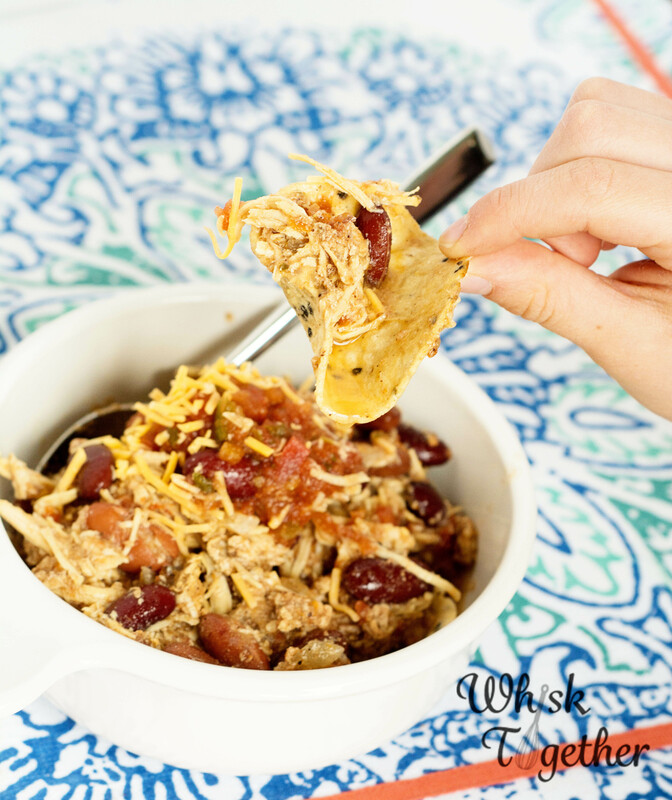 Shred chicken inside crock pot. Add salt and pepper to taste. 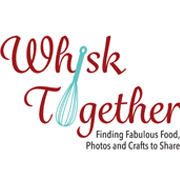 Book Update: I’m still working on my Freezer Meal presentation and my post for the Heirloom Cookie Sheet company! Plus readers will get a coupon code to use exclusively on here, so stay tuned! 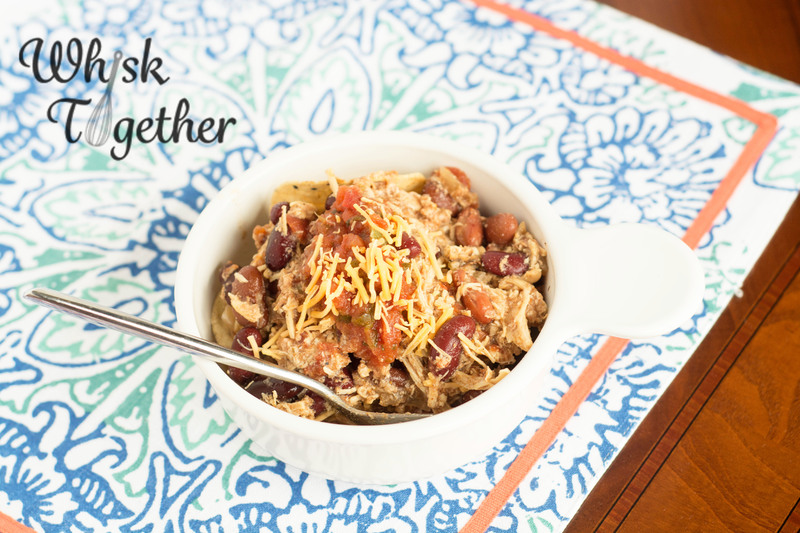 Recipe Update: We have been eating home more… though I guess we always have. My husband’s back is out and the family cannot all go out to eat anymore. So, I tried to make some interesting things for lunch. 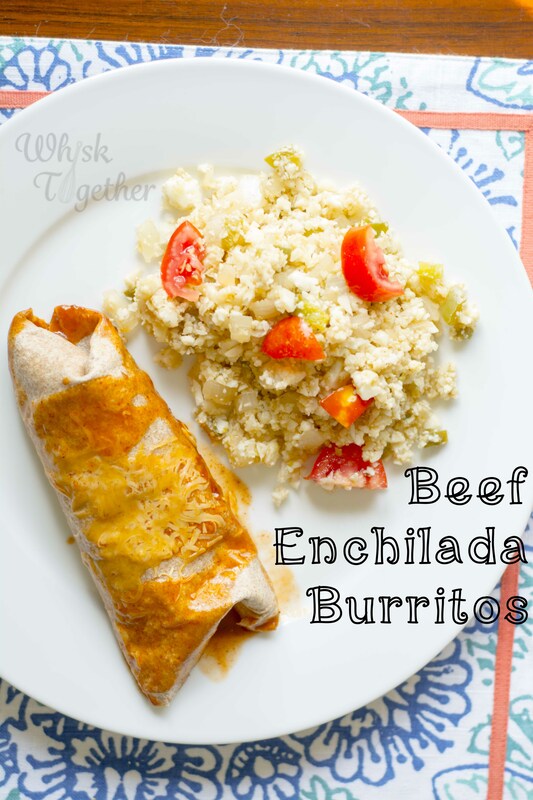 This is a meatless recipe good for lunch or dinner served with some salsa and perhaps Spanish rice. (optional ) Serve with: salsa, cilantro, etc. 1. Heat a large skillet with the oil in it over medium heat. 2. Add the onion and cook that for about 3 minutes – until soft. 3. Dump in your black beans, corn, brown sugar and salsa. Heat this mixture up until hot. About 3-4 minutes. 4. Remove the mixture from the pan. Wipe clean with a paper towel. 5. Put a little butter in the pan and melt. Lay down the tortilla. Sprinkle a handful of cheese on one half and then fold the other half over. Or, you could sprinkle it over the entire tortilla and use a second tortilla later for the top. Add some of the black bean mixture. Fold the tortilla over now or add your other tortilla on top. Heat through about 1-2 minutes. Flip and cook other side for 30 seconds. Serve warm. Book Update: Well, Downton Abbey has been keeping me from reading as much as I usually do. Of course, I did do my homework for Positive Psych and we are discussing resilience in children, well-being through the lifespan and post-traumatic growth. 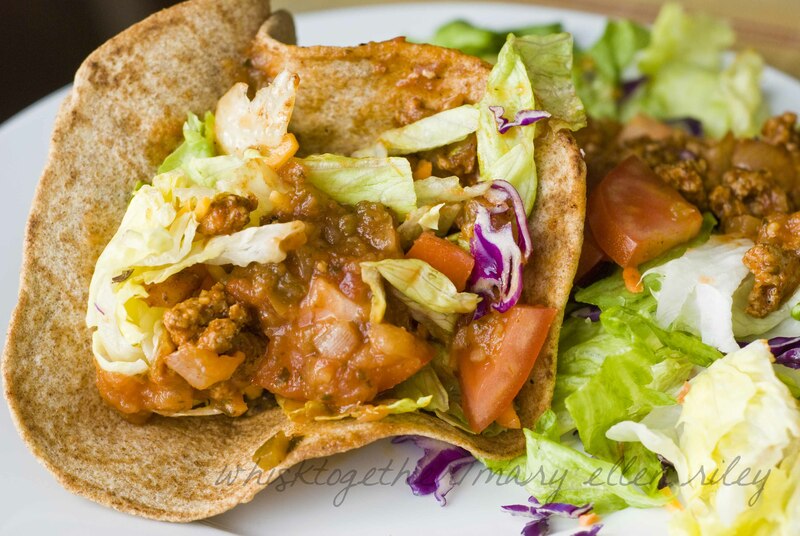 Recipe Update: This recipe is a twist on my old beef tacos staple. We make them at least once a month, so it was fun to add a slight twist. I got the recipe from ATK’s “Comfort Food Makeovers” which also had the yummy recipe for light cinnamon rolls. It was easy and scrumptious. I loved the taco shell and didn’t miss the fried aspect of it. lettuce, black beans, tomatoes, scallions, cilantro, lime juice, salsa, cheddar or Mexican cheese, etc. 1. In large skillet on medium-high, heat the oil. Add your onion and cook until soft. Add chili powder, oregano and garlic. Cook 30 seconds. Add the meat. Cook until brown. 2. Add you tomato sauce, broth or water, vinegar and brown sugar. Lower temperature to medium or med- low. Simmer this for about 5 minutes to get it thick. Add salt and pepper to taste. 3. For taco shell: Preheat oven to 425 degrees. On a cookie sheet, turn ovensafe bowls upside down (mine were too big) or crumble up foil into a 3″ ball (I did that instead). 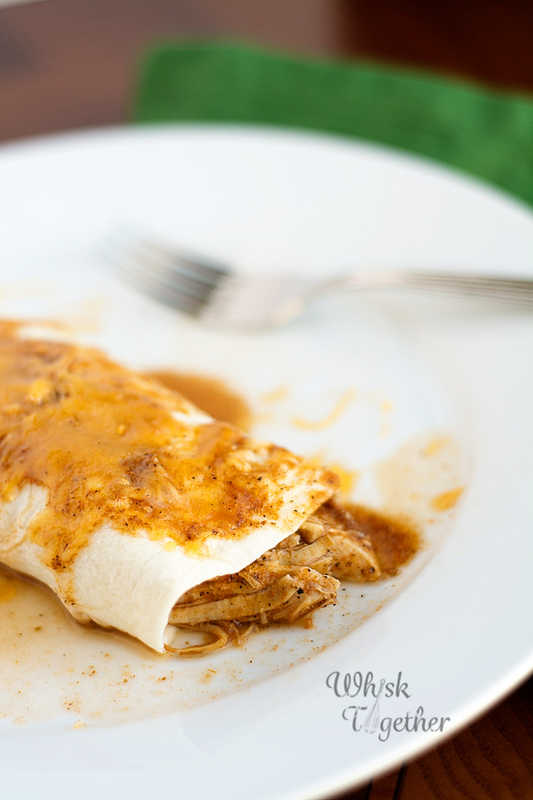 Put the tortillas in the microwave in a damp paper towel and heat for 30 seconds to soften. 4. Spray each tortilla on both sides with some cooking spray and then press and pinch it around the bowl or foil. Bake 10-15 minutes. Cool on sheet. 5. Layer your lettuce into the shell. Add meat and toppings. Happy last day of January! We have had some hits and misses in the recipe department this week. I have two Mexican casserole recipes and the second one, Taco Lasagna, will be up on my blog in a couple days. Reading Update: I found a book referenced in my Positive Psychology class called “The Positive Power of Negative Thinking.” The book is easy to read and follow along. The author makes a very good case for what she calls “defensive pessimism” and how that skill can actually help you rather than harm you. Recipe: I thought this was fast and easy. It would make a great freezer meal, too! Often enough, I do not have enchilada sauce in my pantry. 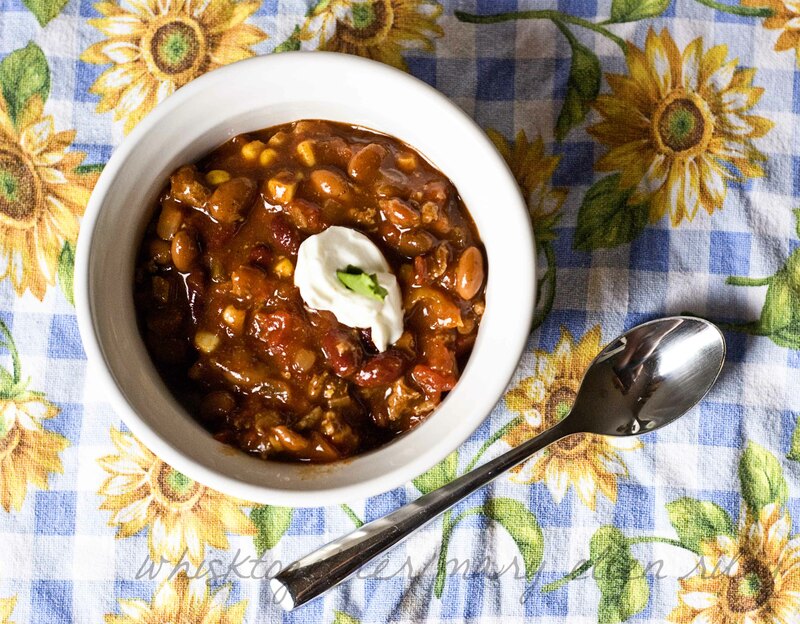 I made the version in America’s Test Kitchen’s Healthy Family Cookbook and it was AWESOME! This sauce is definitely a keeper, and I won’t go back to the canned stuff again! Toppings: sour cream, cilantro, green onions, salsa, chips, etc. 2. Spray a 11×7 baking dish with cooking spray. 3. In skillet on medium heat, cook the beef, onion, and green pepper until the beef is done (no longer pink). Add garlic and cook 30 seconds. Drain fat if necessary on some paper towels. 4. Add 10 oz. (half of the amount) of enchilada sauce, black beans, corn and cumin powder. Season to taste with salt and better. 5. Layer 3 tortillas in the bottom of the baking dish. 6. Cover with 1/3 of the sauce you have left. Add 1/2 of the beef mix and 1/3 of the cheese. 7. Add 3 more tortillas, add 1/3 sauce, 1/2 beef and 1/3 cheese. 8. Add 3 tortillas and the rest of the sauce. Keep the cheese OFF for now. 9. Cover with foil (I spray the foil just in case) and bake for 25 minutes. 10. Take off the foil and add the rest of your cheese. Bake 5 minutes. 11. Allow to rest for 10-15 minutes and then cut. Add toppings and serve! 1. Add oil to a saucepan and heat over medium-high heat for a few minutes. 2. Once the oil is hot, add the onion and cook for about 5-6 minutes or until soft. 3. Add garlic, chili powder, cumin and sugar. Stir for about 30 seconds. 4. Add tomato sauce and water. 5. Simmer and cook 5 minutes. Add salt and pepper to taste. That’s it! Recent Reads: I finished “The Boy with the Striped Pajamas” by John Boyne as part of my Young Adult reading list. It was really good and I advise everyone to read it. Please make sure you have tissues towards the end. The perspective on the holocaust is powerful and the questions that the author brings forth with the text are really soul-searching. I have started week 2 of Positive Psychology and apparently forgot how intense graduate courses are. It never seemed this intense when I had nothing else better to do than study, go to class, eat and sleep. Fun things I’ve learned are how to have increased well-being: write 3 things down each night that went well and why they went well. It takes just 10 minutes, but studies proved people were less depressed, more hopeful and had increased well being because of doing this. If you want to feel better? Try a random act of kindness. It is one of the single most powerful tools that is within your power. Bake cookies for a neighbor, pay for the guy behind you in the drive through, etc. It’s really fun! The Recipe: This was really good and I’m sure I’ll make it again. I haven’t had great luck with chicken in the crock pot in the past. Putting the chicken on top with a lot of liquid underneath worked very well. 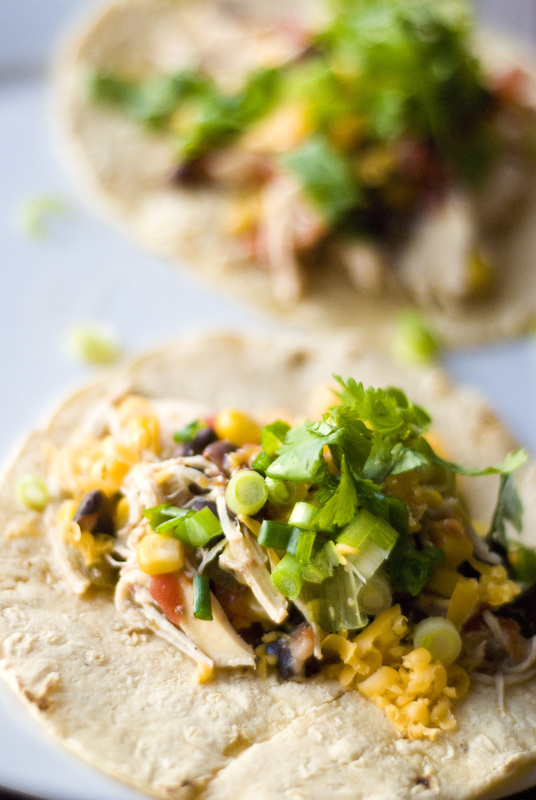 I used the santa fe chicken on my corn tortillas and I ate it plain. Both ways were yummy. Trader Joe’s corn tortillas were only 60 calories each with no preservatives, so that is what I used. The original recipe was altered because I have never seen anything bake so long with cilantro. For maximum flavor, I always add my green onions or fresh cilantro last. 1. Into to your crock pot dump: tomatoes, black beans, corn, broth, powders, cumin, cayenne and salt and pepper. 2. Lay the chicken on top. 3. Cook for 10 hours on low or 6 hours on high. Shred chicken, stir and DONE. 4. Before serving, top with cilantro and scallions. I added some shredded cheddar cheese to mine. You could add sour cream or salsa even. I love Mexican food – the smell, the flavors and the colors. I try to avoid frying because of the fat and because it makes such a bloody mess of the kitchen. 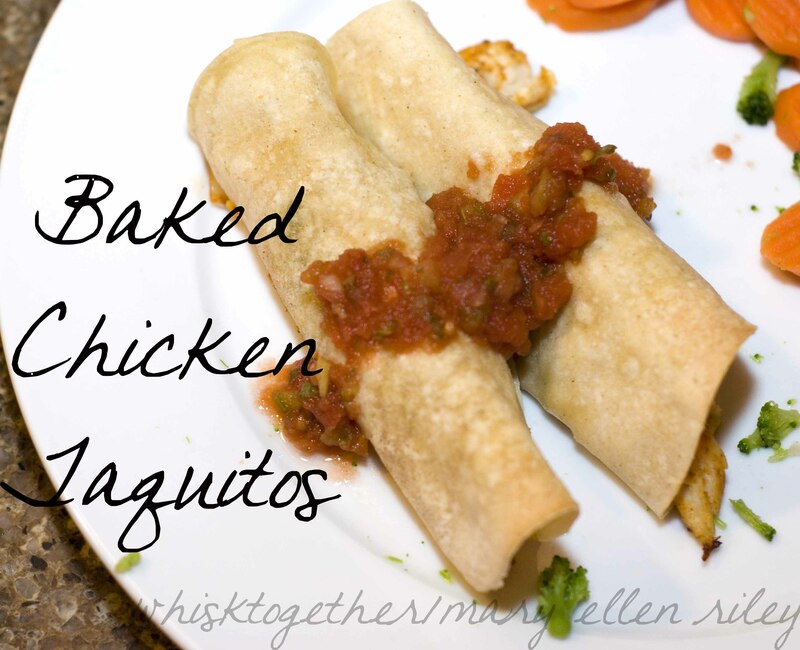 Instead, these chicken taquitos were baked in the oven and served hot. They earned a thumbs up from all four of us. A word of caution in regards to corn tortillas. They can be a pain to work with because the bend and break so easily. I found that the best enchiladas, taquitos, etc. are made when the corn tortillas are heated in groups of 3 in a microwave oven for 20-30 seconds or so between damp paper towels. The moisture helps soften the tortilla and keep it from cracking. When I nuked more than 4 tortillas at a time – especially not fresh ones – they would crack. If you are trying to watch your ingredients, you may need to make them yourself and or go to Trader Joe’s. I noticed the brands at Target and such had preservatives in them. 1. Preheat the oven to 425 degrees. Spray a 9×13 pan with cooking spray. 2. In a skillet, heat the olive oil over medium heat until shimmering. (A few minutes). Add the onion and cook until soft – about 4-5 minutes. Add the garlic, cumin, paprika and salt. Give that a stir for 30 seconds. 3. Take the skillet off the heat and add chicken and cilantro. Stir together. 4. 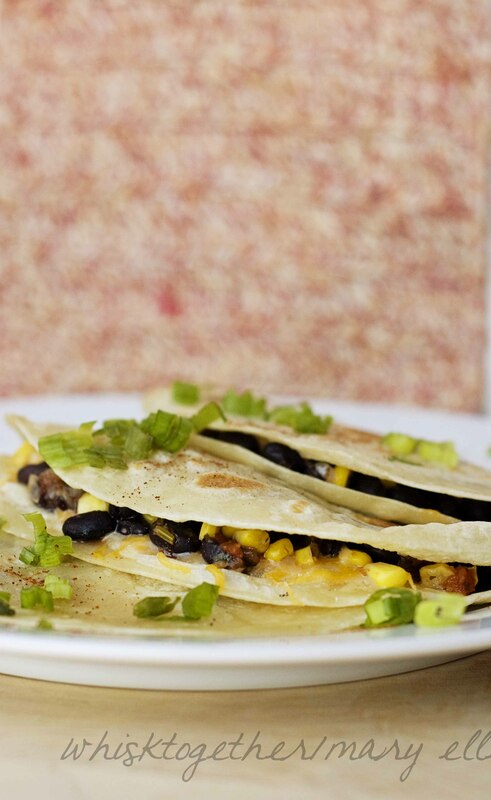 Warm up your corn tortillas in the microwave (3 at a time in between damp paper towels for 30 seconds). Put about 2-3 Tb. of the chicken mixture into each tortilla. Add about a tablespoon of the shredded cheese on top. Roll and place in the 9×13 pan seam side down. 5. Bake for 12-15 minutes. Serve with salsa, sour cream, guac, etc. Comfort in a bowl. This is easy and economical. You can make this as a freezer meal by cooling the mixture completely and then putting it into a freezer bag. Make sure to try and not use previously frozen ground beef when doing this though since re-freezing food makes it lose a lot more moisture. 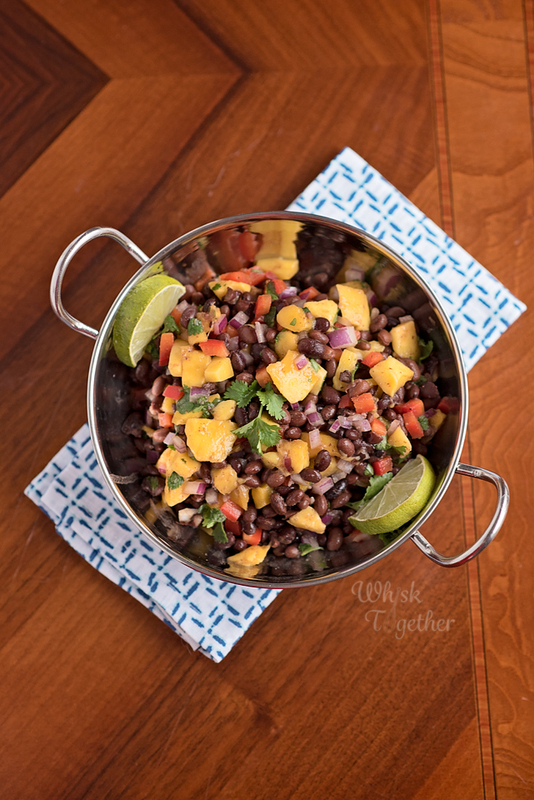 You could bring this to a pot luck – it feeds quite a bit and is full of flavor without being too heavy on the pocketbook. You can make this into a crockpot meal: use ground beef and onion you cooked the night before or that morning and dump everything into a 6 qt. crockpot on low for 6-8 hours. Then, it will be ready for you when you get home. I’m sure the house will smell lovely, too! Instead of the spices, you can pick up a 1.25 oz. taco seasoning packet at the store. I try to avoid pre-made mixes to control the salt and additives that go in a dish. I have also had this with a 1 oz. Ranch Dressing seasoning packet added to the taco seasonings and it was good that way, too. For serving: Serve as is or crumble in taco shells, tortilla chips, add cheddar cheese, or salsa, chopped red onion or scallions, etc. 1. In a Dutch oven, cook the ground beef and onion until the meat is no longer pink. Add the garlic and cook 30 seconds. Drain on paper towels if you don’t want the added fat. 2. Now, dump the meat mixture back in and the rest of the ingredients. Heat to a boil and then simmer until the corn is cooked. If the corn is already cooked, just heat until hot and simmer 15 minutes. Then eat! 3. Or…. Cool completely and freeze it and thaw in the fridge overnight when you are ready to eat. Simply heat and eat when you want it. 4. Or…. Cook your ground beef dump everything in the crock pot in the morning on low, and then eat in the evening about 6-8 hours later. The soup is more on the thicker side like a chili. I like it this way. If you want a thinner soup, simply add chicken stock.